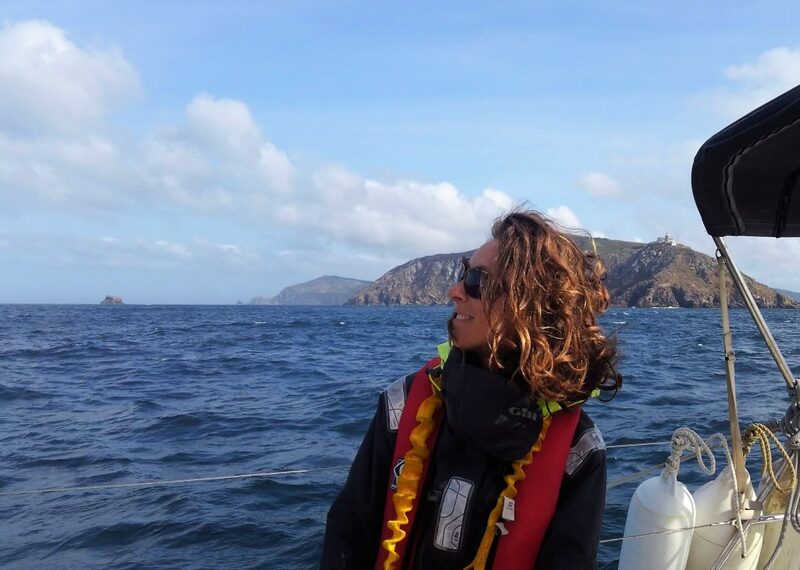 It’s the end of the summer and we really felt the difference as we made landfall in Cornwall from Galicia, Spain. It’s the end of the holiday season and time for la rentrée as French people say. Literally it means comeback as kids are going back to school (rentrée des classes), politicians are going back to the parliament (rentrée parlementaire), new books are being launched (rentrée littéraire) and this goes on and on. Indeed, after more than 10,000 nautical miles logged at sea in the past 18 months, I am opening a new chapter: I’m getting into cycling! In July 2019, I will cycle more than 1200 km (over 750 miles) in two weeks between le Puy en Velay and Valence with two border crossings to Switzerland and Italy. If you don’t know where that is, there’s a map further down. Oh Gosh Perrine, that means around 100 km per day with a lot of climbing and you’re not really a cyclist, aren’t you?! Totally true. But I haven’t explained it all. Indeed, I’ll be cycling but with a special type of bike. This will be a solar powered electric bike. And that’s true again, I don’t have neither the bike nor the knowledge or experience at the moment to take up the challenge. But it’s in 10 months. Where does this crazy idea come from? There again, I haven’t explained it all. In fact, it’s a planned rally. It’s called the Sun Trip Tour and it’s a pre-event to The Sun Trip, an international rally that I secretly dream about joining since 2013. The Sun Trip was created by Florian Bailly, a young Frenchman who solo solar-cycled from France to Japan back in 2010. The idea is to cover long distances. No assistance, no route, just freedom. Also the bike design is up to the participants. 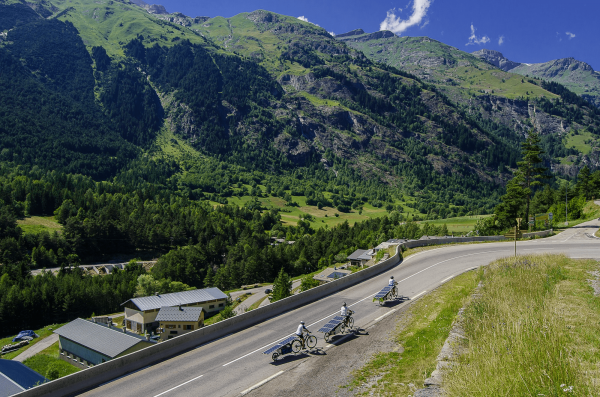 The first Sun Trip took place in 2013 between the French Alps and Kazakhstan. That was around 8,000 km. The second edition of the Sun Trip in 2015 was a loop of 7,500 km from Milan (Italy) to Anatolia (Turkey) and back. 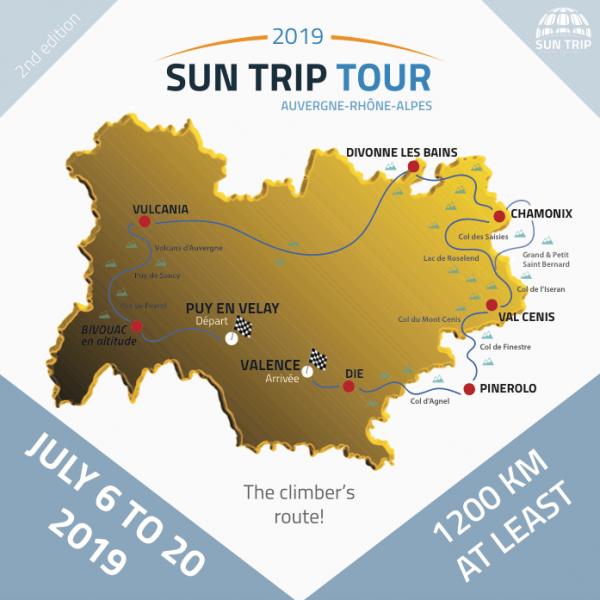 This summer, the Sun Trippers are pedalling more than 12,000 km on the new Silk roads between Lyon (France) and Guangzhou (China). The winner arrived in only 44 days and 19 hours!!! Some records have been broken (e.g. 300 km in one day) and many competitors are still on their way. Among them, the Dean Francoise who is 70 years old and truly heroic. All adventurers have to reach Guangzhou within the 100-day limit. I first heard of The Sun Trip via the Anick-Marie Bouchard’s preparation back in 2012-13. 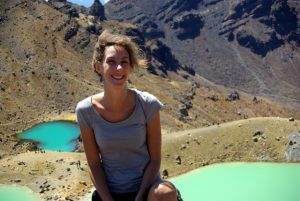 She’s a French-Canadian expert in alternative travel and female solo travel with her blog Globestoppeuse, and she’s co-written the amazing Bible du Grand Voyageur published by The Lonely Planet (in French only). Although she was neither athletic nor a technician, she’s worked really hard to create her bicycle, and physically trained a lot as well. Alone, she reached Astana (Kazakhstan’s capital city, which means… capital) in 80 days and 8,000 km. Still, she took the time to meet locals and chose to go through Turkey because she loves the country loves. Even though that meant she would spend more time on bad quality roads in Kazakhstan. The movie portraits very charming characters pursuing their dream, having the time of theirs lives, facing adversity with determination and philosophy, in an empty yet stunning environment. That was it, I wanted to experience what they experienced. I wanted to be one of them! A couple of months after we sailed across the Atlantic, Nate and I had a conversation with a friend about A.D.D. as in Adventure Deficit Disorder and The Sun Trip instantly crossed my mind. I told them all about it. Why not us? It doesn’t cost anything to apply! A few hours later, we had sent our application for the 2019 edition. As I went to France in May, I met Béatrice and Yannick who rode the Sun Trip 2015 and the Sun Trip Tour 2017. Béatrice has had cancer for many years now and she’s a badass. Yannick is an amazing engineer and they are a funny, sparkling couple. I also met Bernard, winner of the 2015 edition, who was getting ready for the 2018 edition with his son. I was welcomed by friendly, generous and supportive people. We’ve just received the confirmation, dates, itinerary, the adventures rules, and technical regulations. 2019 won’t be a Sun Trip but a Sun Trip Tour. This one is not a race but rather a way of making the Sun Trip a more accessible adventure, allowing as many people as possible to get a taste of the Sun Trip while promoting solar bicycle travel. It’s way shorter and less exotic than The Sun Trip but it’ll be a perfect training/appetizer. Being selected is already a little victory but the work only begins. We are starting from zero! Now we have to study the different options (standard bicycle, electric bicycle, recumbent bicycle, tandem, trike), understand the pros and cons of the different technologies, define what we need, look for sponsors, partners and suppliers. And then train! Très bonne rentrée and a lot of joy and success in your new adventures. To follow our solar cycling adventures, type in your email address and your most beautiful first name below. I’ll share more stuff in the news than on the blog. Sun Trip website to follow the last adventurers… there’s one more week to go. The 3 official movies by Florian Bailly are also available here.